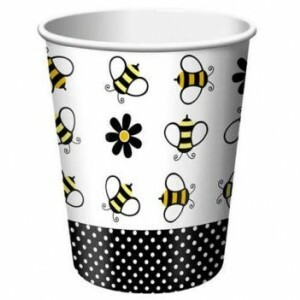 Pack of 8 266ml Buzzie Bee themed Hot & Cold Cups. Disposable tableware not only looks lovely, but is ideal for outdoor & office Baby Shower parties or if you simply don't want to wash up! Great if you have children at your party too.